The proven WINGSTABI technology for high demands with 16 servo outputs and an integrated battery switch 35 A output current. They can all this innovative technology packaged in a designer housing use made of anodized aircraft aluminum Compatible with all current RC systems (Graupner, Futaba, Spectrum, M-Link, Jeti, Hitec, JR, and others). 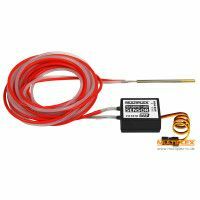 - sensitivity of the 3-axis adjustable separately or in common via the transmitter. 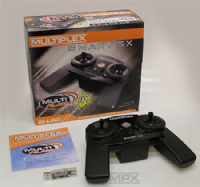 - integrated with M-Link has all the features of MULTIPLEX DR-pro receiver, including telemetry.. Thanks to the latest MEMS sensors remains very real, even under severe control, the feeling of flight. 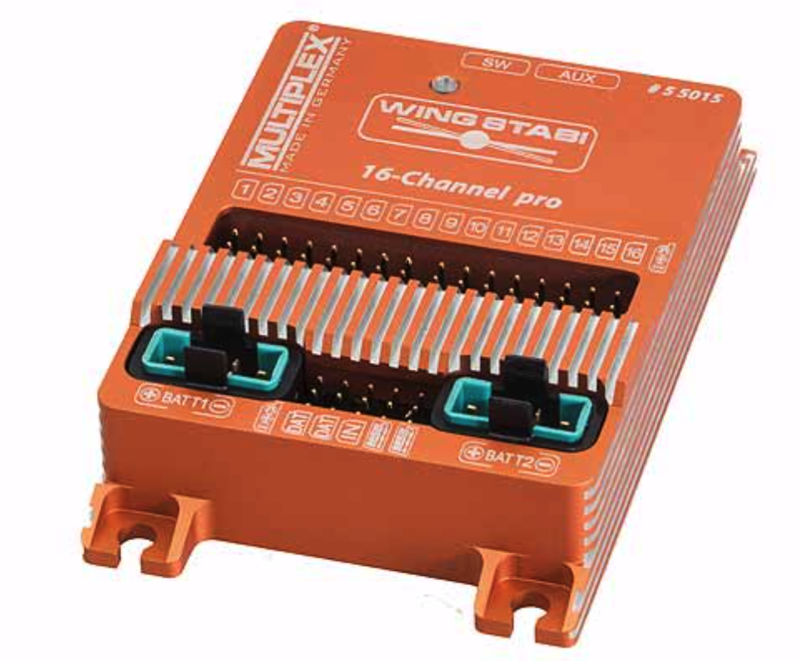 The WingStabi Pro can be supplied directly, or through suitable voltage regulator or BECs by up to two batteries. The extremely high performance potential of the WingStabi Pro assumes the batteries or BEC to be used with appropriate capacity. The continuous output is 35A, the peak power, however, is many times higher. The power supply (max. Two batteries ...) is connected with the MPX plugs directly to the Wingstabi Pro. 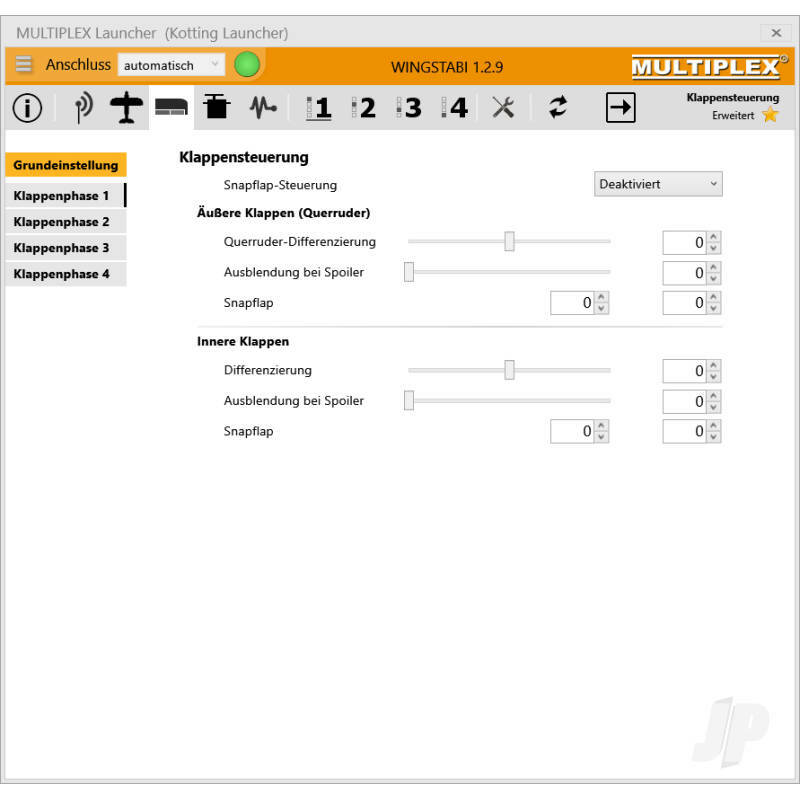 In use, the battery / MPX connection with the higher voltage is always loaded. If both voltages exactly the same, both ports are equally loaded. Both ports operate separately from each other, so it is possible types of batteries / power supplies to use a different capacity, number of cells, type. If only one battery / connection used, it can be connected to BATT1 or BATT2. The integrated safety clips to the battery terminals provide a vibration-proof connection of the MPX plug. 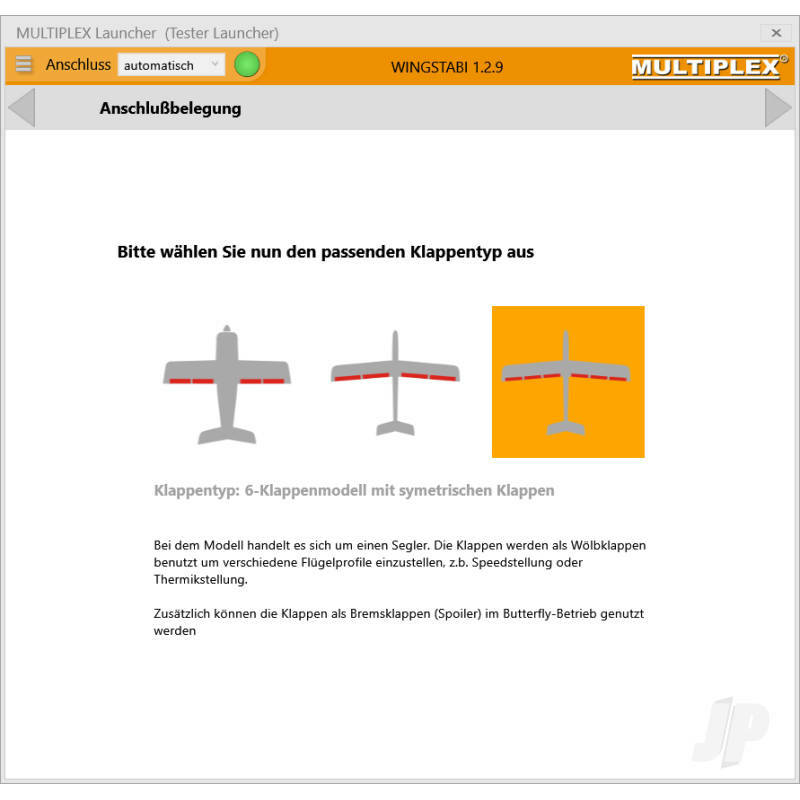 The MULTIPLEX WINGSTABI is designed and built in Germany. Quality Made in Germany! Click here for the smartphone app!